Lately I've been thinking a lot about all things physical and tangible. Things that we can touch and hold. Although I'm a digital photographer, my journey began with film and my obsession developed in the darkroom at my high school as I watched my work bloom to life in the chemical baths. 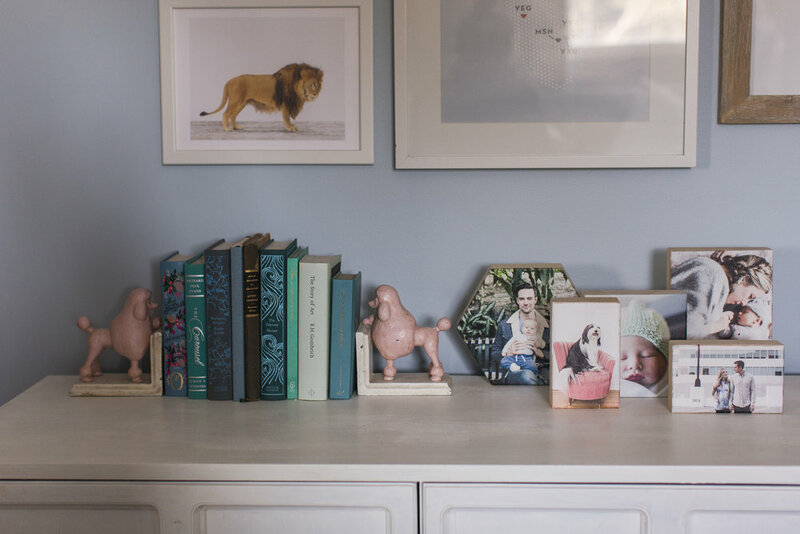 Working and delivering digitally has many advantages, and I take pride in being able to send clients a beautiful online gallery of their images, but sending along tangible items is increasingly important to me. When USB Memory Direct reached out to me, I was keen to partner with them as I am putting together ideas for how I provide my clients with more physical tokens to remember their wedding or portrait experience with me, and to hold onto the brightest and most precious moments from their special occasion. I'm happy to share that thanks to the folks at USB Memory Direct, I will now have USB keys available upon request in addition to online galleries. I also offer a full line of prints and albums, and am working on finding some extraordinary new items as well. 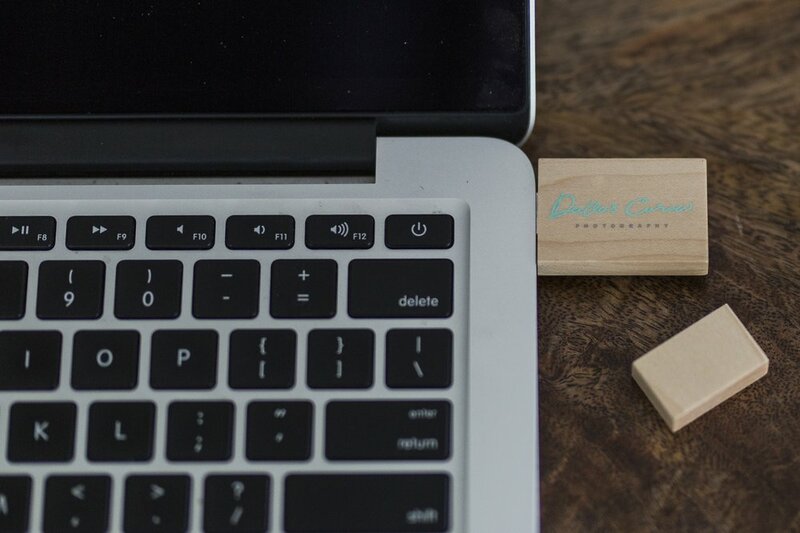 Here's a peek at the beautiful wooden USB keys you can now request! I'm playing around with different stationary options and packaging for different types of clients. Below you can see some ideas I'm working on for model portfolio shoot clients as well as golden anniversary portrait clients. If you're a fellow photographer and looking to find a USB key to complement your digital delivery, USB Memory Direct has lots of options to suit different styles, so it's easy to upload your logo and have a personalized key made that ties in with your brand. They offer fast shipping and I was super happy with the quality of the keys I received. 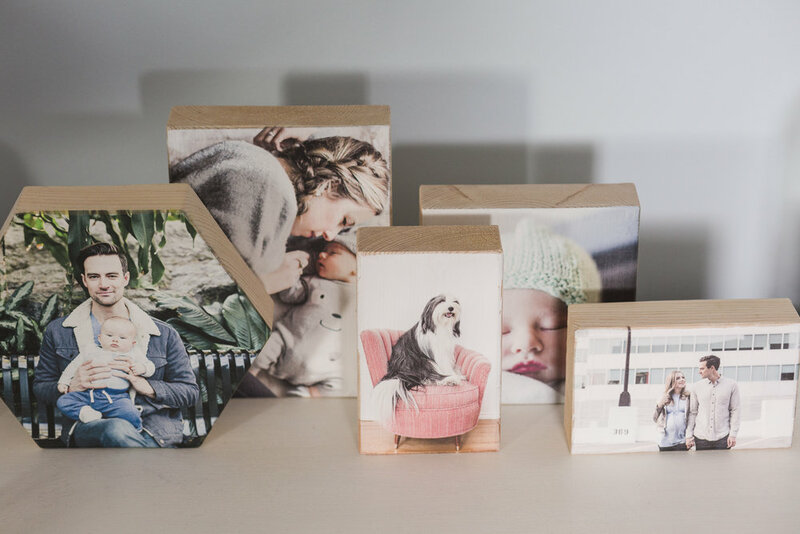 I was recently contacted by Leigha at Flashblock Canada to see if I'd like to try having some of my images printed on their wood blocks. I sent over my images and received them very shortly thereafter. I am absolutely thrilled with the quality of them! Flashblock currently has two locations in Calgary, at Market Mall and Crossiron Mills, but they are expanding across Canada in the near future and will soon have an outpost at Southgate Mall in Edmonton. If they're not in your city yet, you can also easily order your flashblocks online. They are available in a variety of shapes and sizes, as well as bundles. 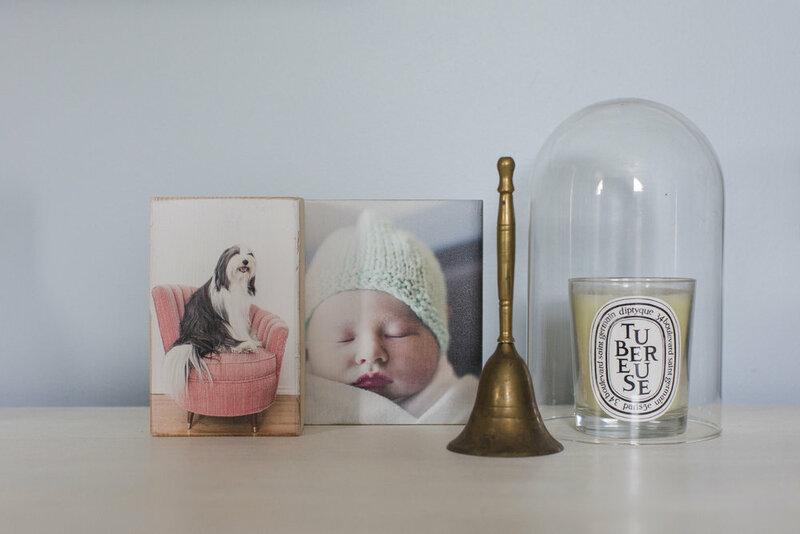 I chose a collection of five recent family photos, four that Brian and I have taken and one from our maternity portrait session with my friend Jill Coursen. I chose uncluttered images with colour tones that harmonized together, so that that the blocks could group together nicely. 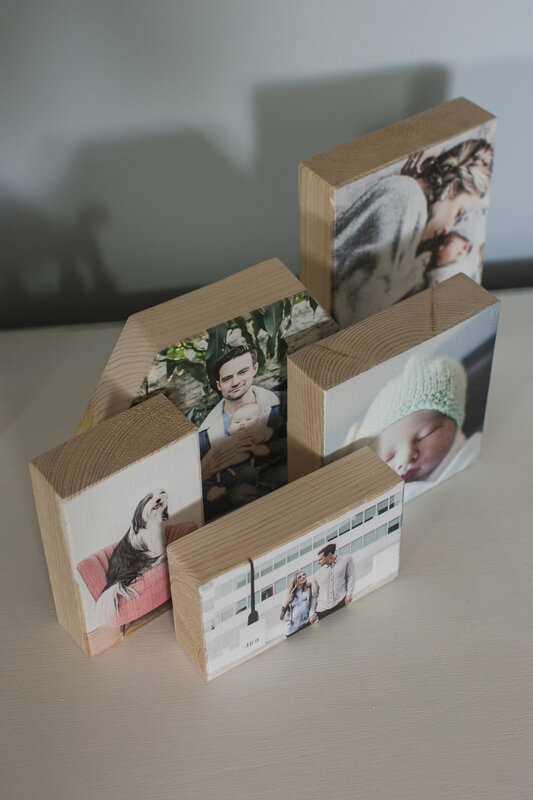 The blocks are thick enough to stand easily on their own on any flat surface. They don't have a hole for mounting, but you could easily drill one or just use a picture hanging hook or wire. I was impressed with the colours of the ink, and was relieved to see that the tones were quite consistent with those of the digital files. They also didn't over or underexpose any of the images, which happens quite often if you don't choose your printer carefully. I also really like that the woodgrain comes through the ink and adds texture to the images. According to their rep, you don't even need high resolution files; images from social media often print beautifully! Because they can stand on furniture, I appreciate the fact that you can keep changing up their arrangement. You can order a whole bunch and style them together or separately. I would definitely order from Flashblock again, for myself as well as for clients.